Gabby had a wonderful first birthday party. There were tons of friends and family there to celebrate her first year of life. It truly amazes me how many people adore my little girl. I don't think she has any clue how blessed she is to have such a huge group of such wonderful people who love her! 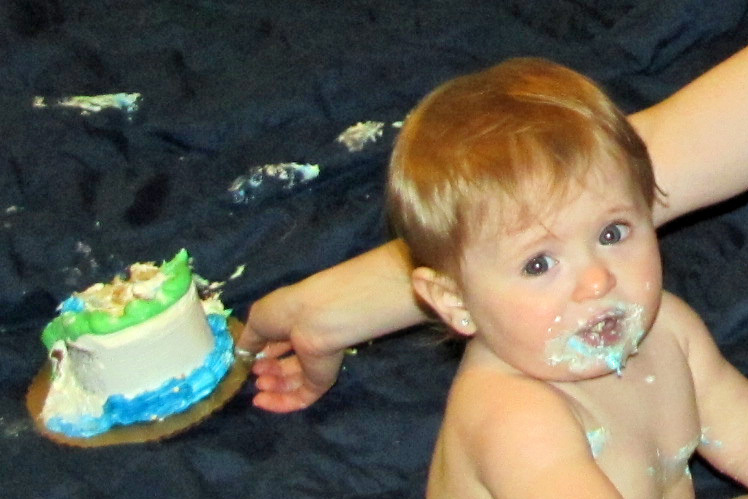 Seriously, people traveled HOURS to come to a one year old's birthday party! Gabby should feel very special and loved. I think everyone's love contributes to the sweet loving little toddler she has become. 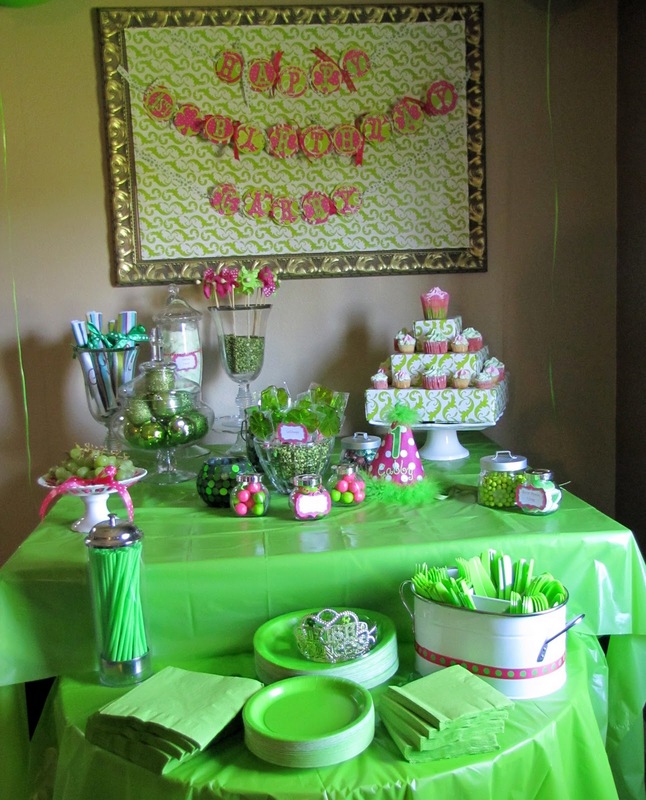 Nanny and Mommy stayed up until midnight preparing and decorating for the party. Then we continued working from 9:00 in the morning until moments before the party started at 2:00 (I will plan better next time)! Grandma made pretty signs for the party. Gabby received a plethora of gifts which included toys, precious clothes, and even money which we put directly in her savings account. Thank you everyone for such lovely gifts. The party was great because there were quite a number of kids there and Gabby began learning how to play with kids the day before her party. She trailed behind the older kids (which was every child there) imitating their actions and simply trying to keep up! The kids played pin the tail on the donkey, ate cupcakes, played outside on the slide, and played with their pin wheels. The exciting birthday cake wasn't so exciting for Gabby since it was her third cake in a weeks, actually third cake of her life! She tried to touch the candle so Daddy quickly blew it out. All of the children helped opened Gabby's gift, tearing them open a little too excitedly. Gabby ran around the room and was occasionally intreged by something that was opened. Now however, she LOVES all of the toys she got and plays with them constantly. Gabby's cake on her actual birthday, she loved it! Strawberry or vanilla cupcakes anyone? After opening a bathing suit she carried around the rest of the time we opened gifts. Gabby's birthday party loot! She made out like a bandit!